Heather is a southern girl through and through, who recently moved to Tampa after growing up in New Orleans. She started blogging over seven years ago as a way to motivate herself to stick to her newfound hobby of running. She quickly realized there were ways to build a brand and make a living doing this “hobby,” and after some re-branding, Through Heather’s Looking Glass was born. On her blog, she writes about health and fitness, travel, family, and blogging/social media. She wrote her first book last year, “The Average Girls’ Guide to Living an Above Average Life.” Heather has also recently started social media consulting and management on the side, all while creating more digital products, and making memories with her husband and two year old daughter. 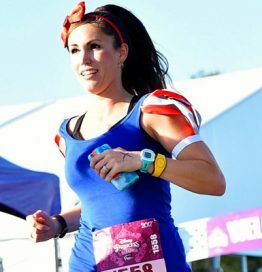 When not at her laptop, Heather can be found running, texting, or at her favorite place–Walt Disney World.